Marvin Saltzman was orn in Chicago, Illinois, in 1931. He attended the University of Chicago and the School of the Art Institute of Chicago from 1954 to 1956, and received a B.F.A. and M.F.A. from the University of Southern California in 1959. 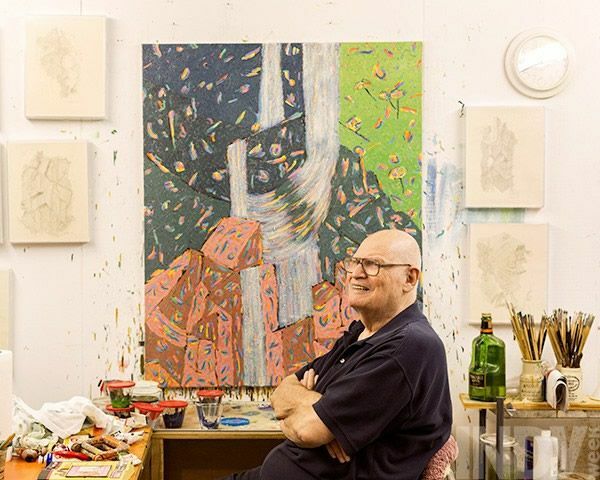 He taught at multiple universities, including Eastern Oregon State College, the University of Wisconsin at Madison, the University of Southern California, and was a member of the faculty of the University of North Carolina at Chapel Hill from 1967 to 1996, where he mentored hundreds of students, many of whom have gone on to have successful artistic careers.